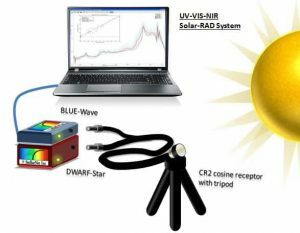 StellarNet Dual-Detector Super Range (DSR) spectrometer systems combine two instruments to cover the ultra violet, visible and near infrared portions of the electromagnetic spectrum. The two instruments work as one creating a unified spectral graph over the entire wavelength region, 200-2300nm. 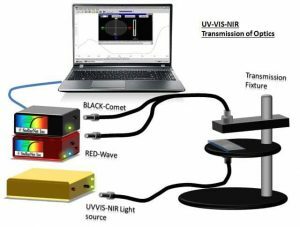 The two instruments employ both a UV-VIS detector array and NIR-InGaAs array in order to cover the entire range. 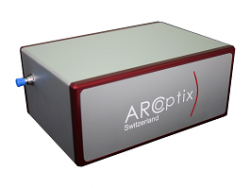 2048 element UV-VIS detector with the option of 512 or 1024 elements in the NIR. Various models allow for ranges from 200-1700, 280-1700, or 200-2300nm depending on the measurement specifications required. 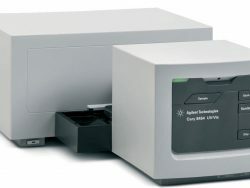 Like always StellarNet spectrometers are ruggedized for field or lab process measurements. 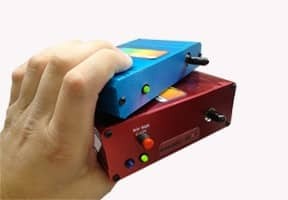 A Miniature USB-Hub provides instrument PC interface. 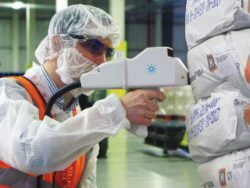 The Dual-DSR system has many applications for spectroradiometry, food and drug QA/QC, and chemical process measurements due to its ability to probe the near infrared while simultaneously measuring sample UV and color spectrum. 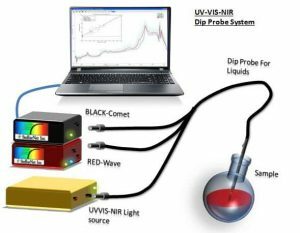 Variety of accessories – reflectance probe/stand, transmission fixtures, and cuvettes for absorbance. These units are extremely ruggedized. 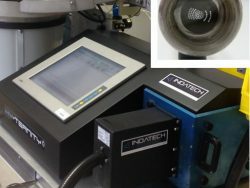 The detector is bolted in position and military grade epoxy holds optics in place, making the instruments vibration tolerant, durable, and suitable for just about any lab and/or field measurement. A multi-band filter is integrated into the spectrograph to provide order sorting and prevent optical aliasing. The instruments optical input is attached via standard SMA-905 connector, using single strand fiber optic cable with typical silica core diameters of 400um, 600um, 1000um.